Looking for great apps at a fraction of their regular price? 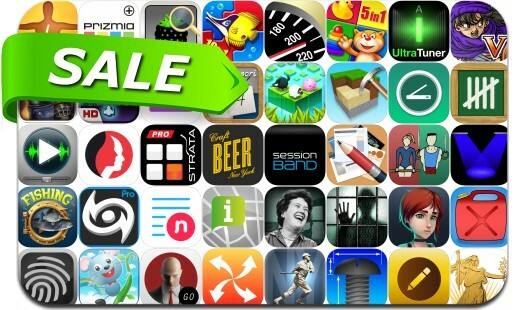 We’ve found 44 iPhone and iPad apps that are currently on sale. This app deal alert includes Hitman Go, Dragon Quest V, Divide By Sheep, RemindMeAt, Hurricane Pro, Space Inversion 2, Screens VNC, Web Page Creator, Lost Within, Astropad Graphics Tablet, Speedball 2 Evolution, Fishing Deluxe, Note'd, SessionBand and many others.